During Black History Month, learn more about Atlanta’s rich background by visiting historical landmarks and cultural events. Take a tour of the Herndon House, which was owned by a formerly enslaved businessman, or view fine art creations at the National Black Arts Festival’s gallery exhibition. Use our list of Black History Month events to help you navigate through the robust happenings honoring black history and culture this February. When: Feb. 2, 12 to 3 p.m. This celebration of black women will happen inside Greenbriar Mall. At the venue, attendees can listen to spoken word, shake hands with business owners and learn about new fashions. Tables will be displaying prominent black women in history. NBAF’s Atlanta: Our Home. Our Artists. Our Legacy. When: Feb. 2, 7 to 10 p.m.
Artists will be showing off their fine artworks ahead of Super Bowl Sunday during this National Black Arts Festival event. Some of the artists include Jamele Wright Sr., Ayanna Smith and Kevin Cole. When: Feb. 3 to Feb. 28, 3 to 4 p.m.
Every Tuesday and Thursday during Black History Month, the Herndon House will be offering tours of the mansion, which was the home of Alonzo Herndon who was born into slavery and later became a businessman in Atlanta. When: Feb. 7, 12, 16 and 23, 1 to 2 p.m.
Take a tour of the final resting places of influential Atlanta black history figures. The walk through will include stops to the burial grounds of Atlanta’s first African-American mayor Maynard Jackson and Carrie Steele Logan, the founder of Atlanta’s first orphanage for African-American children. When: Feb. 16, 11 a.m. to 4 p.m.
Vegan food selections will be served to attendees at this brunch celebrating families. Expect dancing and a live DJ. Profits from the event will benefit the Each One Teach One Homeschool Collective. When: Feb. 17, 3 to 5 p.m. The historical and sociological differences and similarities of black people in America and Africans will be discussed during this panel and discussion. “Black Panther” will add context to the event, because the movie has been regarded as a “watershed moment” for black people in America and Africans. When: Feb. 23, 10 a.m. to 4 p.m.
See pieces of different mediums created by black artists at this event in Roswell. This free festival will feature handmade and original art. When: Feb. 23, 1 to 4 p.m. 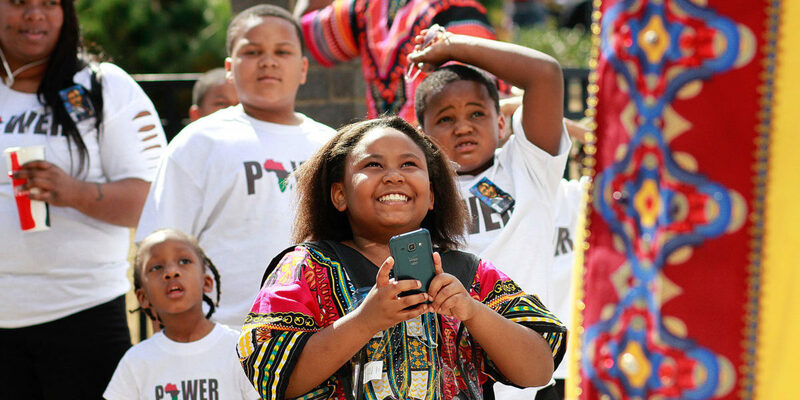 In downtown Atlanta, the Black History Month Parade will course through the city. Spectators can watch the procession of floats and entertainers from Peachtree Center Avenue, Marietta Street and Peachtree Street near Five Points Station.